The 12-year-old poodle is much loved. 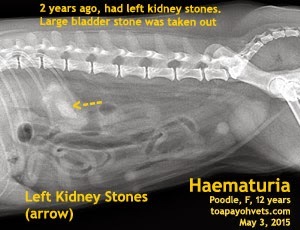 2 years ago, she had a bladder stone removed. I advised that the few specks of stones in the left kidney can be dissolved by S/D diet. However, the owner did not come for reviews for the next 2 years as the dog was fed home-cooked food. The left kidney now has large stones. 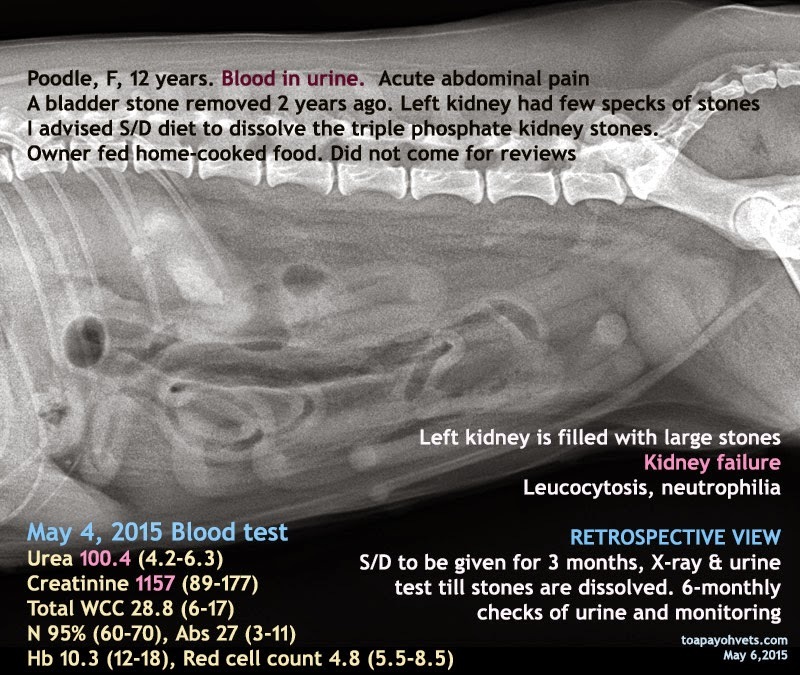 Kidney stones do occur in dogs but are rare compared to bladder stones. In this case, the dog was free of blood in the urine for 2 years after removal of the large bladder stone. I had advised S/D diet to remove the few specks of stones in the left kidney (as seen in the X-ray). I did not do hard sell as this may antagonise the owners. 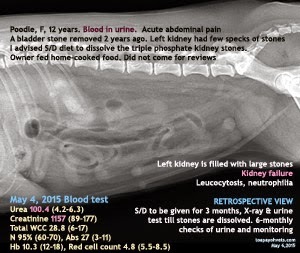 The owner did not follow up after bladder stone removal for the next 2 years. Now the dog has acute abdominal pain and kidney failure. Singapore does not have the machine to break down the bladder stones using sound waves and in any case, it would be very expensive. The dog was in great pain and had kidney failure. No operation to remove the left kidney is advised as the dog would die on the op table. In retrospect, if the owner agrees, the dog would be on S/D diet for 3 months. 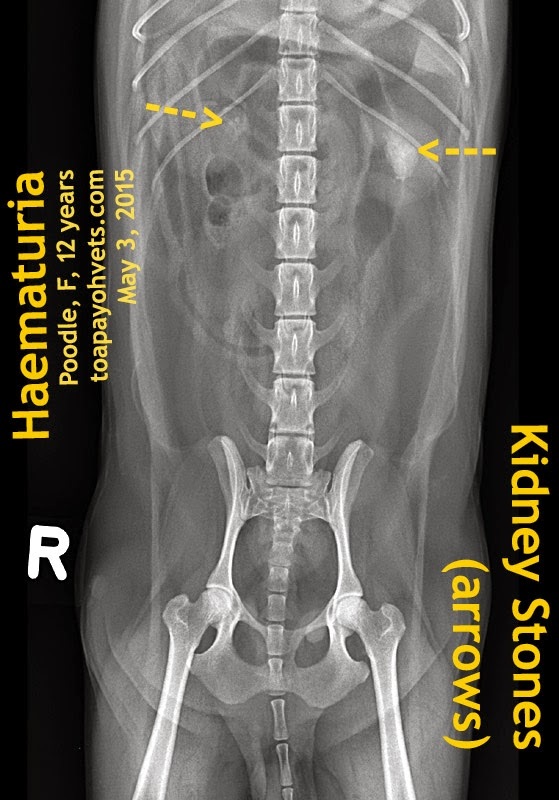 X-rays and urine test.